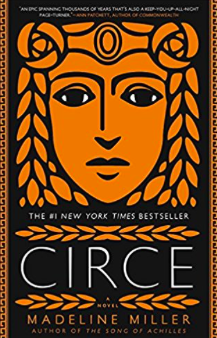 My latest read was this book, Circe. I saw it listed somewhere along the way and thought it seemed up my alley as I always loved Greek Mythology as a kid. It was a great read! Slow at times but compelling and interesting. Circe is a nyphm, the daughter of Titan Helios, the God of the sun. She’s a lesser God and in traditional lore she most notably mentioned in Homer’s Odyssey but she probably wasn’t one you had heard of before now. It a story that spans over a thousand years and there’s cameos from some of your fav Greek Gods! If you love Mythology and like trying something different, check out Circe.